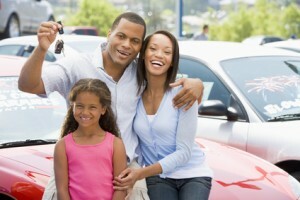 Buying a second hand car can represent a considerable investment. You need to keep in mind that the decision you make involves not only the car’s price, but also the money you are likely to spend over the coming months or years; get it wrong, and the costs can quickly spiral out of control. Bargains may be tempting, but they can turn out to be fool’s gold. Putting your emotions aside is the first rule of approaching a second hand offer. Start by getting a clear idea of what you want; identify a few models that would fit your needs and budget, and do some basic research on the Internet; look at press and owner reviews, and visit owners’ forums to learn about common problems, running and maintenance costs, and generally any relevant pros and cons. Next, browse through magazine or Internet adds to get a better idea about the range of prices for that model in relation to age, mileage, and equipment. When calling the owner or dealer about a used car that interests you, ask clear, specific questions about the car’s history, mileage, and condition. Taking notes can be useful; if the seller is honest, the information you get on the phone should not contradict what you will later find upon seeing the car and inspecting the documents. If you are still interested after making the call, arrange for a visit; ask to see the car outside the garage, in broad daylight, and avoid choosing a rainy day for your visit. When seeing the car for the first time, closely inspect the state of its exterior and interior; underhanded sellers may resort to turning back the mileage, but visible wear and tear can offer clues about the car’s past. Starting at the front, look for little scratches on the front spoiler, the leading edge of the bonnet, the windshield, and the side mirror covers, as these can reveal a long history of motorway usage. Also, scratches on the bumpers and rims tell tales of many busy parking lots and clumsy parallel parking. Rim indentations could have been caused by violent encounters with sidewalk borders, warning of possible suspension or steering issues. While looking at the wheels, inspect the state of the tires. Uneven wear of the right and left front tires can indicate steering or wheel geometry problems; similar uneven wear of the rear tires points to a history of neglect, as these tires have probably been rotated over from the front at some point. The overall state of the bodywork can also hold clues to the car’s past. Look closely for subtle changes in color and traces of paint on the door seals, as these can give away repair jobs. Also, if the paint looks too fresh for the given mileage, it may mean that the car has been polished or repainted for some reason. Have a look at the headlamps, as they usually get a little foggy with age. Checking the production codes on rear and headlamps can also help; if the original parts are still on, the codes should match. Open the trunk, and look under the carpet for traces of moisture, which may indicate a faulty lid seal. If the car has central locking, check for scratches on the keyholes, as these are usually indicators of past electrical issues. Inside the passenger compartment, on the driver’s side, look at the door seal and outer bolster of the seat; these parts are constantly being rubbed against when getting in and out of the car, and worn stitching or upholstery can give away age and intense usage. Similar clues can be found on leather-covered steering wheels and gear sticks. Make sure that the seat belts buckle as they should, that the seats and steering wheel adjust properly, and check every single electrical accessory: electric windows, electric seats, climate control, on-board computer, interior and exterior lights, central locking and alarm, sound system, and all their different settings and functions. If you are not familiar with the controls, ask the seller to patiently walk you through. Also check the dashboard for faulty gauges, error alerts, flashing ‘service engine’ lights, ABS or ESP lights, airbag lights, and so on; such warnings are always costly to ignore. Make sure that the seller can provide the codes for the alarm and radio, or you may find yourself unable to reset them after buying the car, should the battery ever be disconnected, and this will cost you a pretty sum to set straight. After giving the car a thorough inspection, ask the seller to explain any issues or apparent inconsistencies, and confront the explanations with the service history and fiscal records. Never neglect the documents when considering a second hand car; a vehicle with a full service history and no fiscal or legal issues is the only true bargain. If you get a bad feeling at any time, just walk away. Before making your offer, always ask for a test drive and, ideally, an independent service inspection.